Consider a beneficial partnership with Hubbard's Cupboard! Hubbard's Cupboard is a family friendly website that provides free resources for educators and parents. Hubbard's Cupboard has been on-line since July of 2000. Over the years, it has grown substantially from a single page of hand prints to 200+ pages with over one million page views per month (3050 GB of data transfers in 2011). We have an international audience. However, 80% of our traffic comes from the United States. Most users (74%) find a page on Hubbard's Cupboard via organic search. 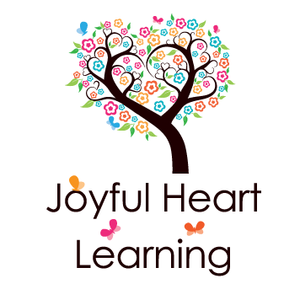 We are excited to see how God has turned Hubbard's Cupboard, and the companion Joy to the Heart blog into a ministry to other educators and families! Recently, we've seen God call us into another area of ministry. As new missionaries with Wycliffe Bible Translators , we plan to use income from this site to help support our effort in speeding Bible translation through software development. If you are interested in advertising, please read over the information on this page and contact us (advertise at hubbardscupboard dot org) with any questions you may have. We sell ads through Beacon Ad Network, a Christian ad network. We reserve the right to decide if a product or ad is suitable for the website and our readers. Please see the ad store front for our standard ad placements and pricing. We can also handle sponsoring specific pages on a per-request basis. Thank you for your interest in Hubbard's Cupboard! Please contact us if you have any additional questions related to advertising.